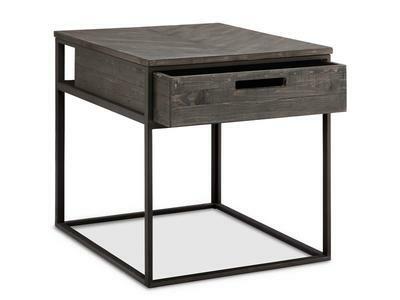 Industrially simple table design. The glass is encased and framed with wrought iron. 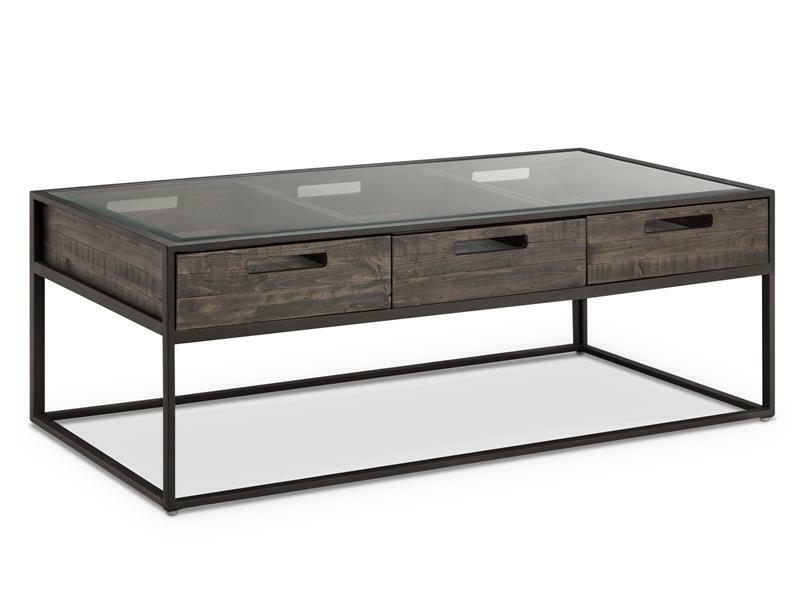 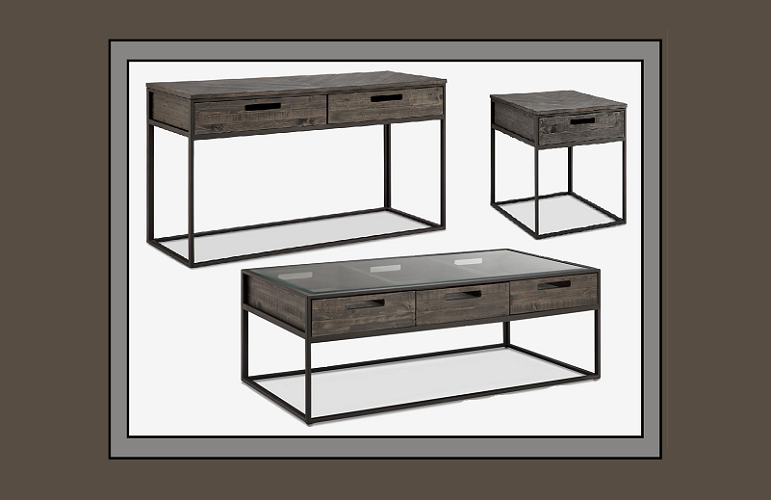 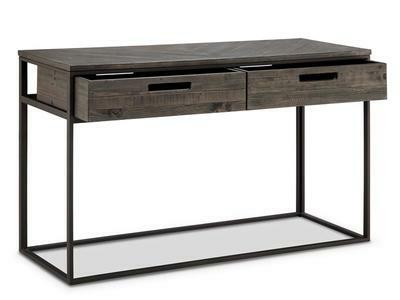 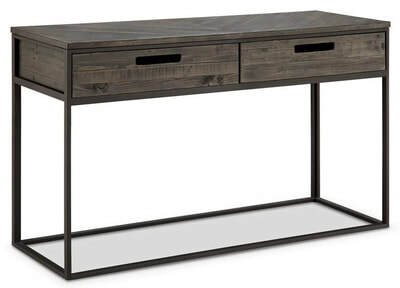 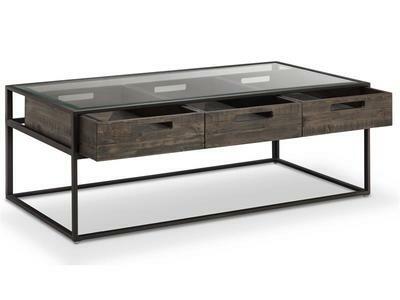 The cut out handle in drawer front accesses the display opportunities to personalize this table choice. 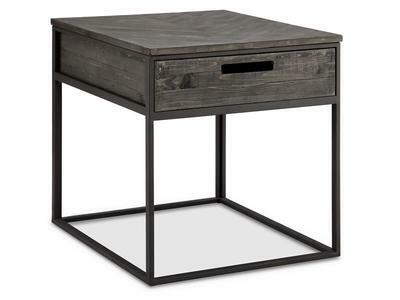 Reclaimed style makes this piece perfect for transitional, casual or modern environments.